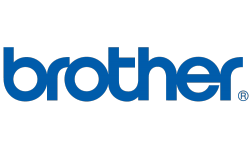 The Brother MFC-6490CW is a business-class inkjet-based all-in-one machine with scan, copy, print, and fax capabilities. The biggest feature is the ledger-sized (11x17") flatbed plate, for versatile scanning, copying, and faxing. Wireless networking is supported, at the 802.11b/g standard. Large capacity is another big feature here, with dual print trays capable of holding a combined 400 letter-sized pages, as well as a 50-page automatic document feeder. Print speeds are fast, ranging up to 35 pages per minute, with a maximum colour print resolution of 6000x1200 dpi. Direct photo printing is supported, using PictBridge-compatible USB devices and flash-memory card slots, and a wide-screen 3.3" LCD colour viewscreen is included for on-machine editing. Printing uses a four-cartridge ink system, with one black cartridge and individual ink cartridges. High-yield cartridges are also available.